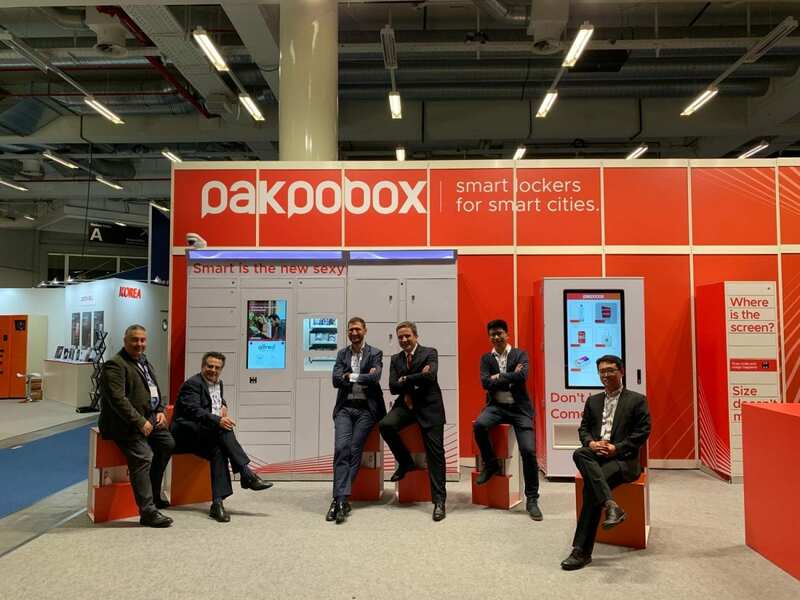 Hong Kong, 19 March 2019 – Cyberport start-up Pakpobox, a smart locker platform for e-commerce deliveries, has secured a strategic funding round of US$ 1.2M, as it expands into South East Asia and Brazil. Brazilian tech-logistic company WFRETES TECNOLOGIA E MEIOS DE PAGAMENTO led this round of investment. SQ Capital Group, an investor from the previous funding round, also invested and acted as a financial advisor for this round. Additionally, Pakpobox and WFretes have signed an exclusive distributorship agreement for the distribution of Pakpobox smart lockers in Latin America, as well as for the set-up of Clique & Retire, a network of 2,000 smart lockers in Brazil. Clique & Retire will have a delivery capacity of 85 million packages per year. “We continue our global expansion with a local approach and strong partnerships. Our goal, in the next five years, is to build a delivery infrastructure able to handle 1 million packages per day” said Christian Secci, Co-Founder, Pakpobox. As part of the deal, WFRETES and Pakpobox signed a strategic partnership with Metro Rio and are in discussions with São Paulo Metro to build the first two national smart locker networks across the subway stations in Rio de Janeiro and São Paulo, which are used by more than 6 million people per day. “The plan is to install the first 350 locations by Q4 2019,” said Marcio Artiaga Da Castro, CEO, WFRETES. The opportunity for an automated last-mile logistic infrastructure is significant in Brazil, where many households do not have a delivery address. Twenty percent of online sales are not completed because the household address is not covered by the courier companies. “Couriers are having serious problems delivering packages in remote areas. With Clique & Retire, the rate of successful deliveries at first attempt is 100% guaranteed,” said Marcio Artiaga Da Castro. According to McKinsey’s research “An integrated perspective on the future of mobility, part 2: Transforming urban delivery”, smart lockers reduce the delivery costs up to 35% per parcel and reduce the labour time per delivery by up to 60%, increasing each courier efficiency by ten times. Brazil is the largest economy in Latin America and the fourth largest internet market globally, with 140 million internet users. According to Euromonitor International, Brazil represents about 42% of all B2C e-commerce in Latin America. Automated delivery networks can support the growth of Brazilian e-commerce, which is expected to reach US$23.5 billion in 2019. According to Allied Market Research, the global smart lockers market is projected to reach US$ 1,2B by 2023. About WFRETES WFRETES is a Brazilian technology logistics company that provides automated last-mile logistics services. The company is headquartered in Brasilia and it has two branches in São Paulo and Rio de Janeiro. WFretes’s shareholders include the real estate conglomerate Vagon Engenharia owned by the Gontijo family and the consultancy firm Odgers. WFRETES recently launched the brand “Clique & Retire” with the plan to install 2000 smart lockers in Brazil by 2023.